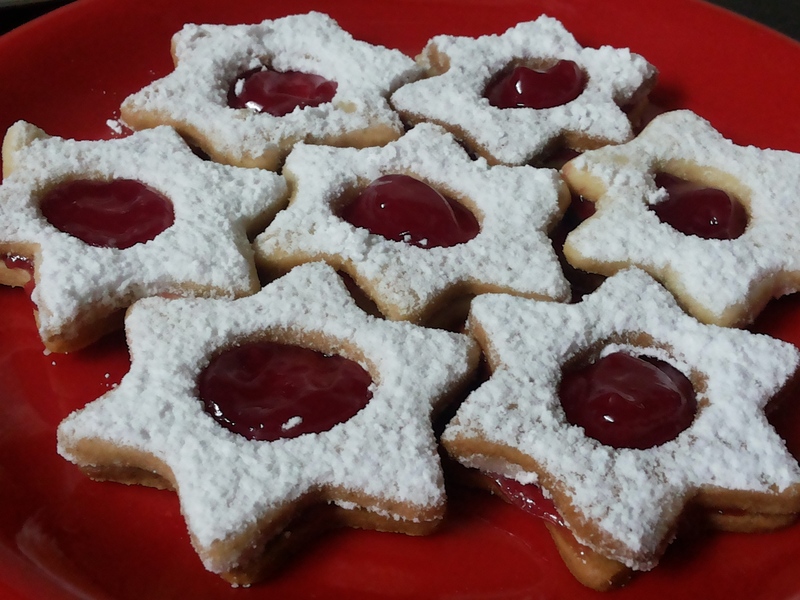 I found these cookies the most easiest and yummiest. I made this in cooker. 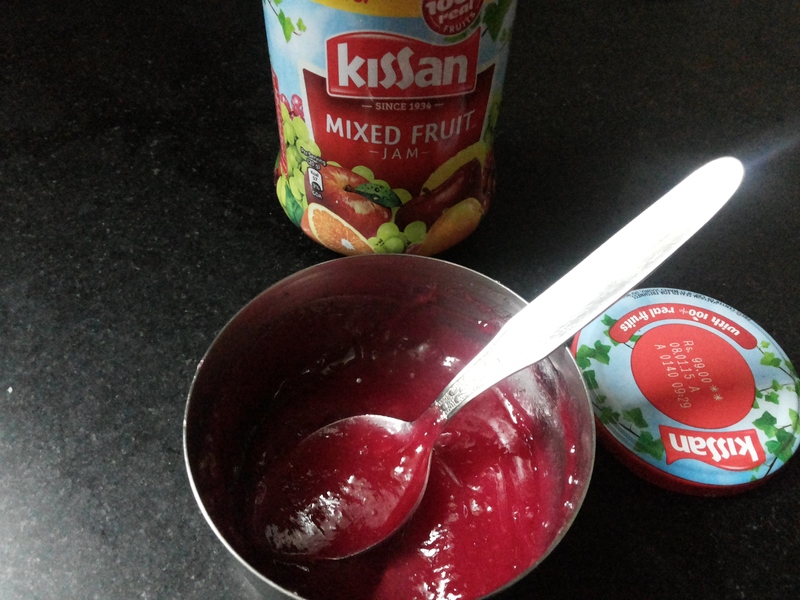 In this recipe i used Mixed Fruit Jam, you can use the flavour , you love the most. We have to bake this cookies till edges get golden brown colour, mostly it will take around 14-15 min. First beat butter and sugar Till it get nice smooth texture. Add Vanilla essence, mix well. Now add Maida and baking powder , mix well. By adding milk little by little knead a dough. Dont add milk at a time. Allow it to rest for 5-7 mins. 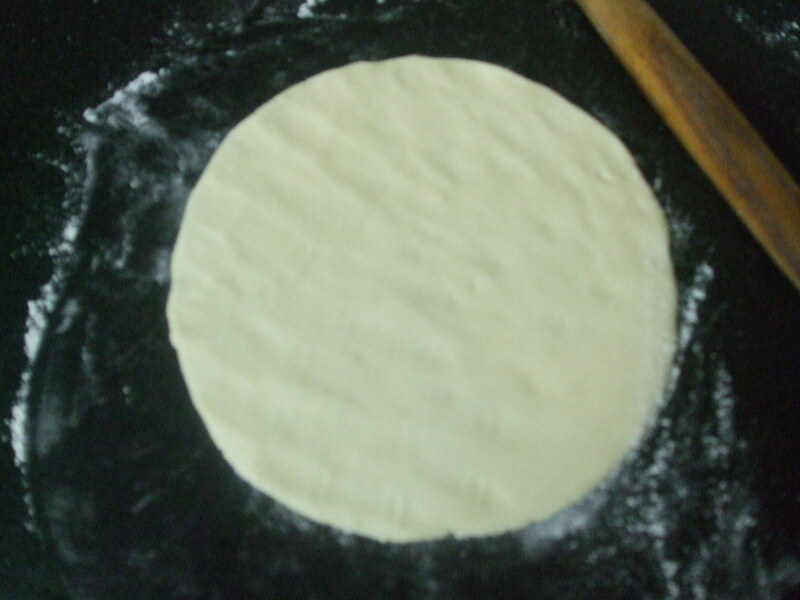 Now on a dusted surface roll a thin roti. 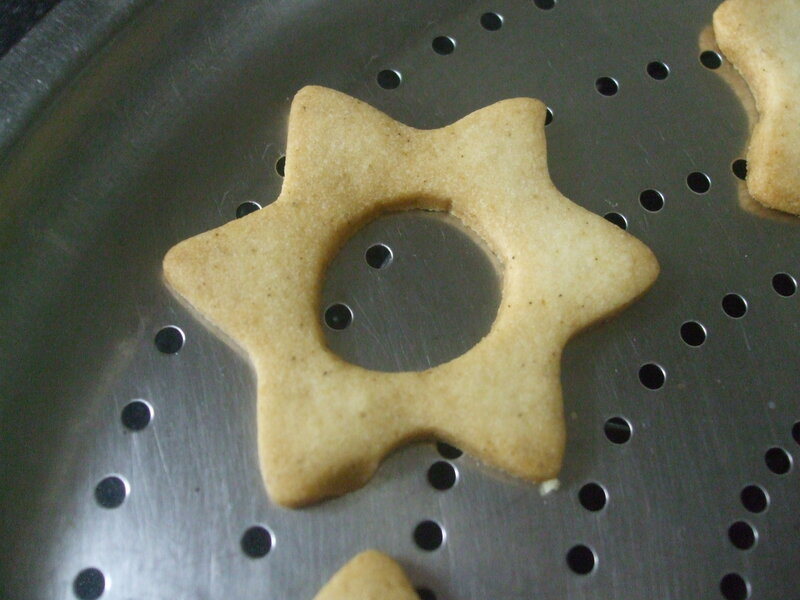 Give shape as per your likes with help of cookie cutter. I choose star shape, one can also take round or heart or triangle shape. Be very careful while detaching . As we roll it thin, there are chances of break also. Now take of center part of half of the cookies. I used small medicine cap to give shape. 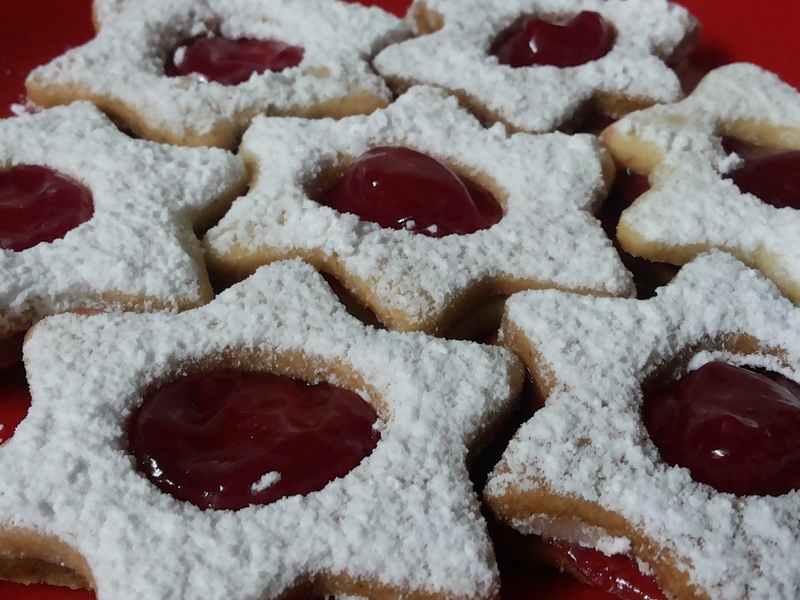 Re-roll the scraps of dough to make more cookies. I bake in cooker for 15-16 mins. Keep eye after 10 mins.For cooker baking, place a stand in cooker. 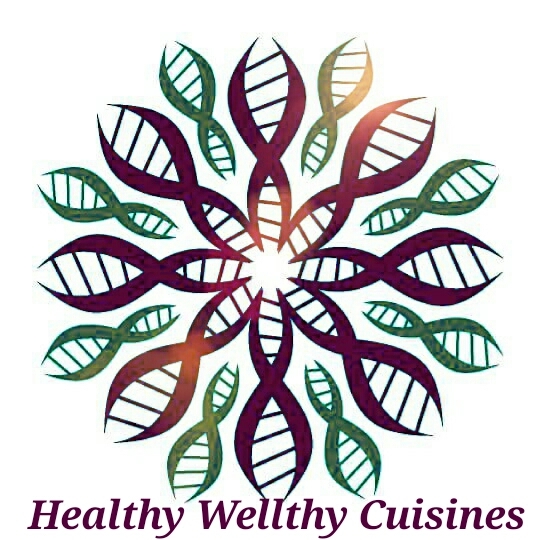 Keep a perforated Plate on it. Now grease a place or cake tin and arrange cookies in it . Close the lid without whistle. If using microwave, bake on 180C for 10-12 mins or till edges get golden brown colour. Allow it to cool completely. Till time beat the jam in a small bowl with back side of spoon. Preferable jam should be on room temperature. 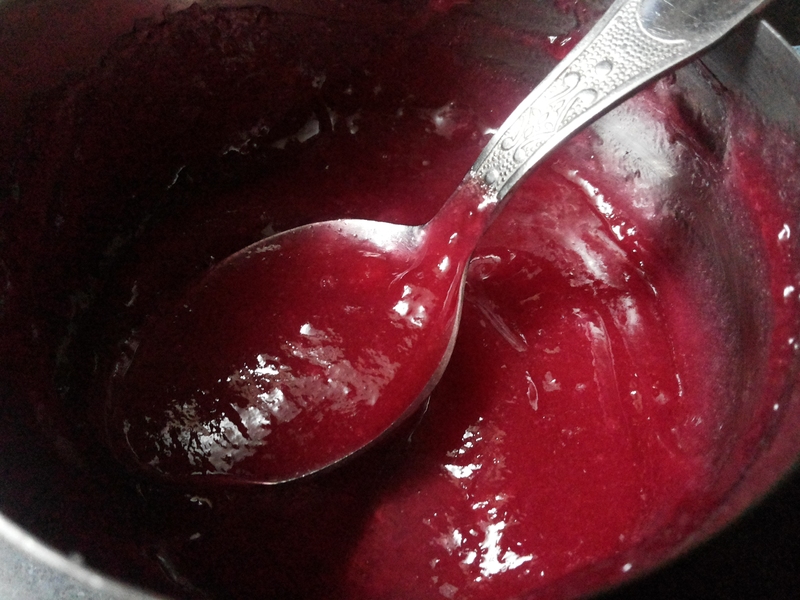 You can notice, jam becomes smooth . 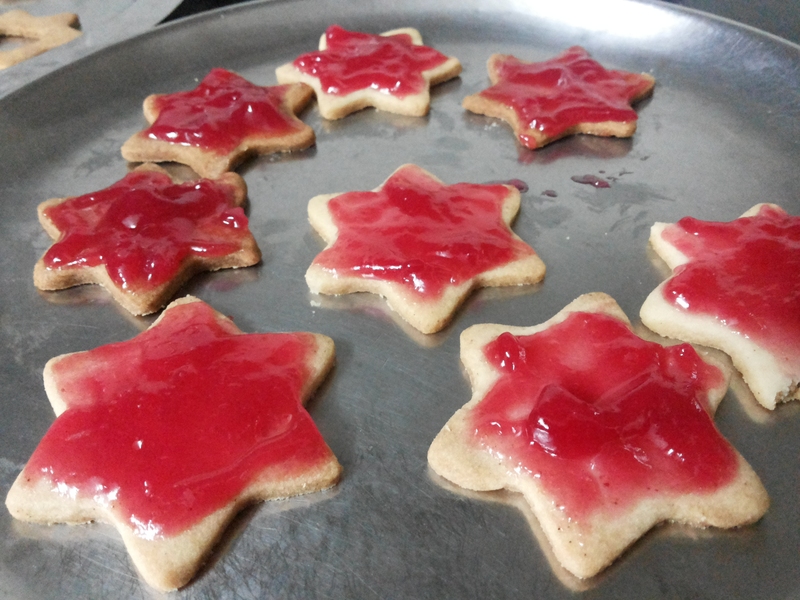 Apply 1/2 tsp jam on each cookie (Without hole). 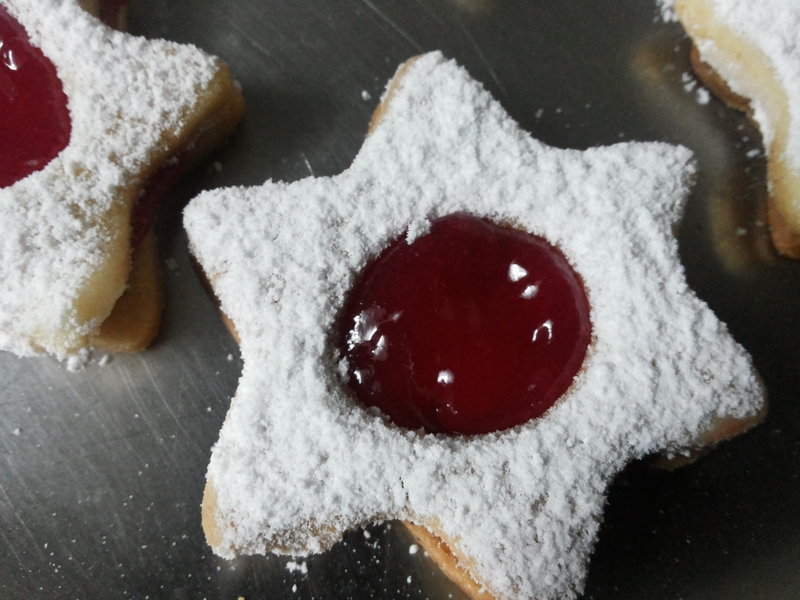 Sprinkle Powdered sugar on cookies with hole. Now Assemble both cookies. Keep a bit of jam again in center. Now again bake for 2-3 mins in cooker. Make sure cookies should not burnt. 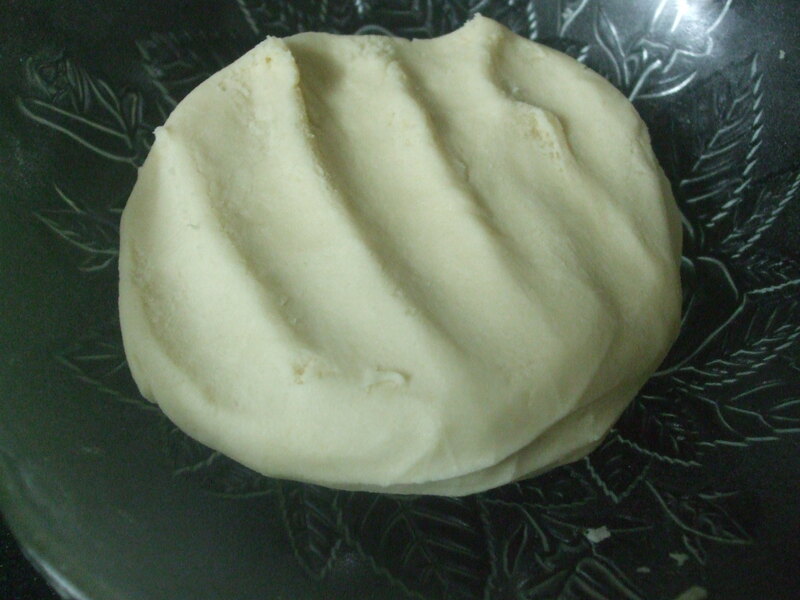 If using microwave, bake for 1 min. Once cool completely Store in a air tight container. Hope you all love it. Enjoy. I am unfamiliar with maida – is there an alternative that I could use? Hey hi dear Maida is nothing but All purpose Flour. 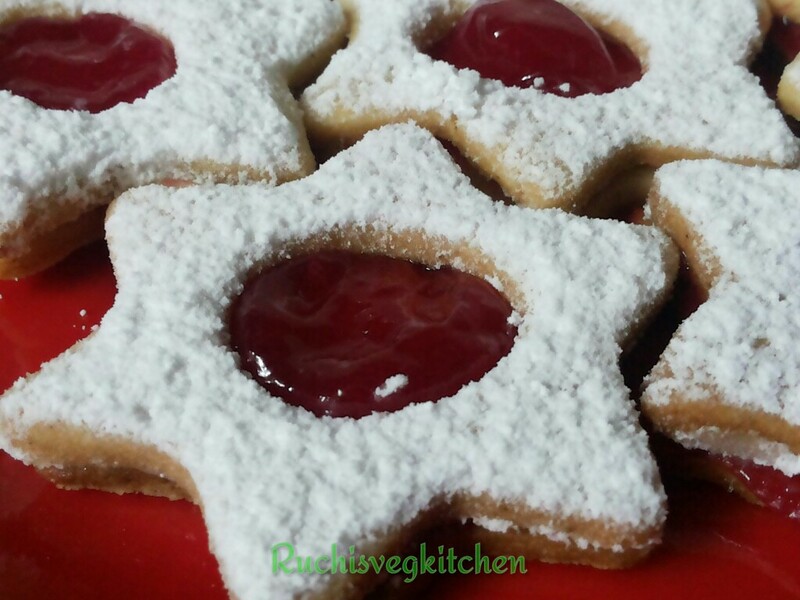 I never tried with another Flour for this cookies so no idea.